Recently, I got the BDJ Beauty Box for November from Benefit Cosmetics' Sweet Shoppe. It's one of the best early Christmas gifts I've received. This box contains skin care solutions that are so radiant and so bright, you gotta wear shades! Now, here's an exclusive brand that isn’t so mainstream with a bunch of goodies that can start your week beautifully fresh and end it with a sweet bang of gorgeousness. This is so purrrty, it contains different beauty and skin care products, all exclusively available at Benefit Cosmetics. They all came in sample sizes. On to the 7-Day Challenge with 7 easy steps to get that fabulous holiday look! Step 1: I start the day with an eye cream that promises to banish dark circles. Say hello to It's Potent eye cream. You just can't keep a secret, because the eyes are the first to show signs of aging and stress! And that is why you need a powerful eye cream to fade dark circles and helps smooth fine lines. Step 4: Emphasize your eyes with They’re Real! Push-up Liner. it's very easy to apply with its lash-hugging pen gel liner and a soft AccuFlex tip that gives you smooth, non-budge application. It's a waterproof, matte, black gel eyeliner that can last for long 24 hours on your lids! Step 5: Add a few coats of They're Real Mascara to get that amazingly long and thick lashes! It doesn't clump and doesn't smudge so you need not worry about having Panda eyes. Step 6: Nothing says holidays like a sweet poppy pink glow on your lips so finish your holiday look with Posiebalm Hydrating Lip Balm. Posiebalm is really hydrating and gives a subtle tint of pink. Step 7: Last but definitely not the least, remove your eye makeup at the end of the day with They’re Real! Eye Makeup Remover, It's an effective eyeliner and mascara remover and it doesn't irritate the eyes. You'll be amazed at how easy it is to remove your eye makeup! There are some bonus items! Total Moisture Facial Cream leaves my skin feeling hydrated, smooth and soft to touch. The Instant Comeback Facial Serum makes my skin feel firmer, smoother and more hydrated while it protects my skin from aging. I also got a Hello Gorgeous! Voucher or a FREE makeupper and brow consultation at my fave Benefit Store! How cool is that? And that's it for the November BDJ Box. Overall, I think this is a pretty good box with all the wonderful beauty finds any girl could ever ask for! This month's sticker reads, "Love the Way You Look. Look the Way You Love." Indeed, I love the way I look after completing the BDJ Box 7 Day Challenge! So what do you think of the Benefit Cosmetics BDJ BOX? You can order your own BDJ Box at bdjbox.com. Hurry, bellas! These beauty boxes get sold out pretty fast! So go get it before it's gone! Don't forget to join my Instax Camera giveaway here! Love your make up . Really best for holiday look. you're so beautiful and love these makeups! 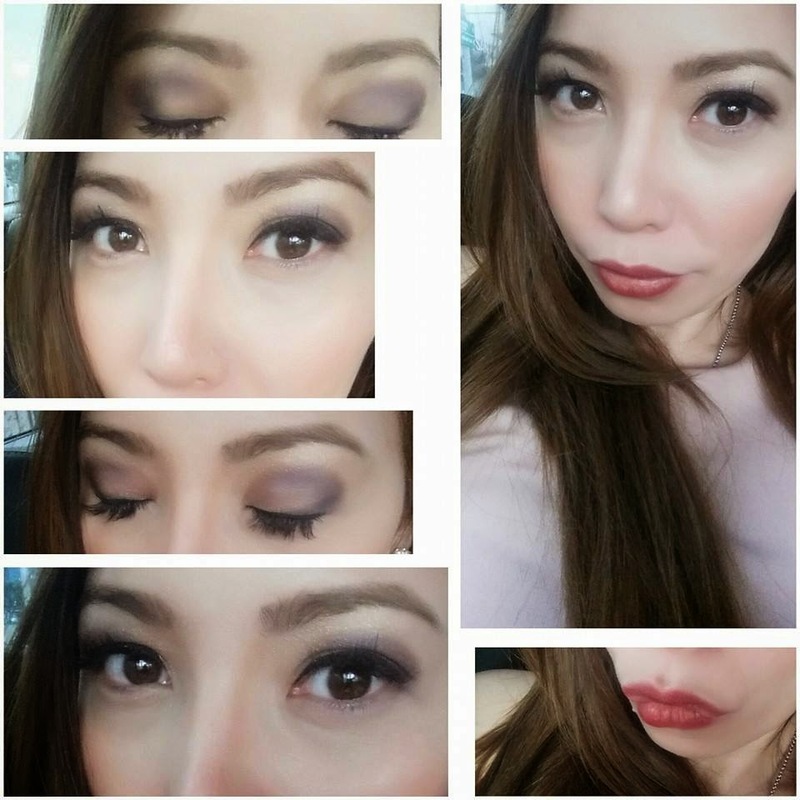 I wish ganyan din ako kagaling mag make up..